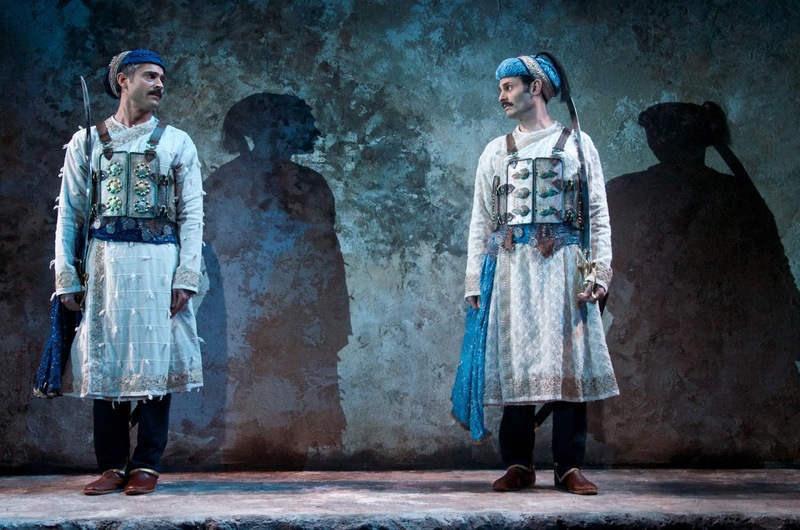 Steppenwolf Theatre Company presents the Chicago premiere production of Guards at the Taj by acclaimed playwright Rajiv Joseph, directed by ensemble member Amy Morton. A stunning tale about the search for beauty in desperate circumstances, the Steppenwolf production features the original cast members, Omar Metwally (Humayun) and Arian Moayed (Babur), whom Amy Morton directed in the Off-Broadway world premiere which received rave reviews when it premiered in 2015 and won the 2016 Obie Award for Best New American Play. 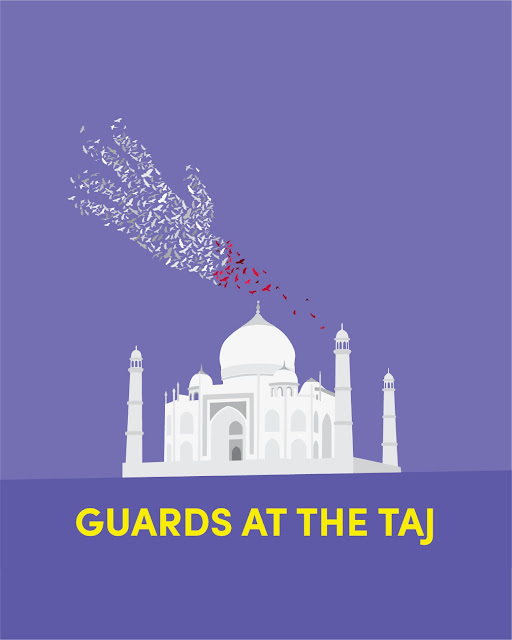 Guards at the Taj begins previews May 31, 2018 and the production runs through July 22 in the Upstairs Theatre, 1650 N Halsted St. Press performances are Monday, June 11 at 7:30pm and Wednesday, June 13 at 7:30pm; opening night is Monday, June 11. Single tickets ($20-$89) are currently on-sale through Audience Services at 312-335-1650 or steppenwolf.org. India 1648. The dawn will reveal for the first time the extraordinary beauty of the Taj Mahal, built as a tribute to the ruler who demanded its construction. But for two hapless imperial guards, the morning light brings with it an unspeakable task that will shake their faith in God, the empire and their lifelong friendship. This boldly funny and deeply moving play examines the true meaning of beauty and the cost of transcendence in a world that confuses the value of both. 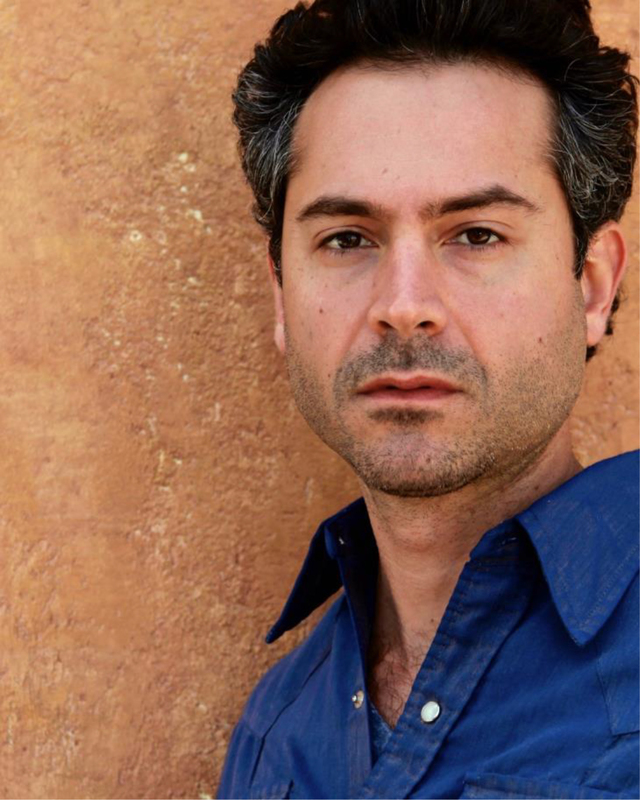 Rajiv Joseph’s (Playwright) play Bengal Tiger at the Baghdad Zoo was a 2010 Pulitzer Prize finalist for Drama and also awarded a grant for Outstanding New American Play by the National Endowment for the Arts. His play Guards at the Taj was a 2016 Obie Winner for Best New American Play and 2016 Lucille Lortel Winner for Best Play. 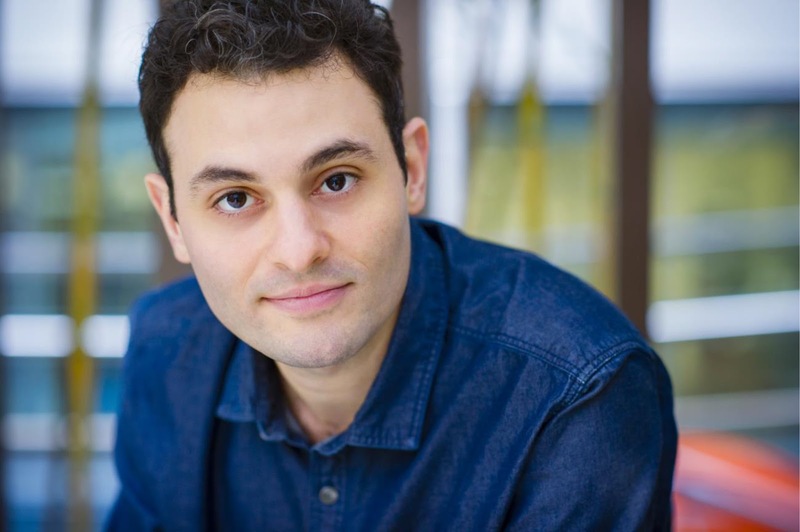 His play Archduke, received its World Premiere last spring at the Mark Taper Forum in Los Angeles; and his play Describe the Night premiered last fall at Alley Theatre, followed by an Off-Broadway run at the Atlantic Theater. Other plays include Gruesome Playground Injuries, The Monster at the Door, Animals Out of Paper, The Lake Effect, The North Pool, Guards at The Taj, and Mr. Wolf. Rajiv has been awarded artistic grants from the Whiting Foundation, United States Artists and the Harold & Mimi Steinberg Charitable Trust. He is a board member of the Lark Play Development Center in New York City, where he develops all his plays. He served for three years in the Peace Corps in Senegal and now lives in Brooklyn, NY. 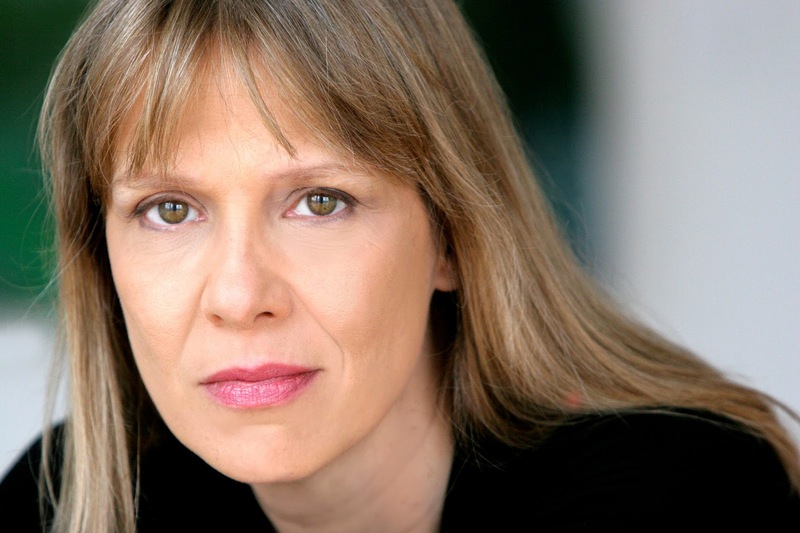 Amy Morton (Director) has been a Steppenwolf ensemble member since 1997 and directed several Steppenwolf productions including Clybourne Park, American Buffalo, Dublin Carol, The Pillowman, among others. She directed the world premiere of Guards at the Taj at the Atlantic Theater Company in 2015 and returns with the original cast for the Chicago debut. She has performed in more than 30 Steppenwolf productions, including the recent production of Taylor Mac's Hir, Edward Albee’s Who’s Afraid of Virginia Woolf? (also on Broadway, Tony nomination) and August: Osage County(also at the National Theatre and Broadway, Tony nomination). Currently she stars as Trudy Platt in the NBC drama series Chicago P.D. Omar Metwally (Humayun) Steppenwolf: Homebody/Kabul. Broadway: Sixteen Wounded (Tony and OCC nominations). Off-Broadway: Guards at the Taj (Obie Award; Atlantic Theater); As You Like It, The Fever Chart (The Public); Tumacho (Clubbed Thumb); Beast on the Moon (Century Center). Regional: American Hero (Williamstown), as well as work with The Long Wharf, ACT, Magic Theatre, Campo Santo and others. Film: Rendition (Chopard Trophy, Cannes Film Festival), Non-Stop, Munich, Miral, Complete Unknown, Breakable You, among others. TV: Vik on The Affair, Mr. Robot, The Slap, Dig, Fringe, The Good Wife, Grey's Anatomy, Virtuality, Harry's Law. Education: MFA from the American Conservatory Theater. Arian Moayed (Babur) is a Tony nominated actor, an arts educator, an award winning writer/director, and an Artistic Director of Waterwell. Notable theater includes: Tony Award Winning The Humans (Drama Desk Award), Guards at the Taj (Obie), and Bengal Tiger at the Baghdad Zoo (Tony nom., Drama League nom., Theater World Award). With numerous credits in film and television some highlights include working alongside Bill Murray in Rock the Kasbah (dir Barry Levinson), Rosewater with Jon Stewart, and a recurring role on Madam Secretary. With Waterwell, a company he co-founded with Tom Ridgely in 2002, Mr. Moayed has helped devise numerous original productions including Hamlet (Sheen Center), Blueprint Specials (Public), GOODBAR (Public Theater) and The|King|Operetta (Barrow Street). Through the Waterwell Drama Program, Mr. Moayed administers one of the best public school arts programs in the country as part of the Waterwell Drama Program. With hundreds of students from all economic backgrounds, WDP partners with the Professional Performing Arts School, offering 6-12th graders in New York City the highest quality theater training in the country absolutely free of charge. As a filmmaker and partner of Waterwell Films, Mr. Moayed is currently in post-production for his thriller TV series called The Accidental Wolf, starring Kelli O’Hara, Laurie Metcalf, Denis O’Hare, Amy Landecker and many more. The Guards at the Taj production team includes Tim Mackabee (scenic design), Bobby Tilley (costume design), David Weiner (lighting design), Rob Milburn and Michael Bodeen (sound design and original music) and Matt Hawkins (Fight Choreographer). Additional credits include Briana Jo Fahey (stage manager), Cassie Calderone (assistant stage manager), JC Clementz (casting director) and Aaron Carter (artistic producer). Group Tickets: All groups of 10 or more receive a discounted rate for any performance. Black Card Memberships are for audiences interested in extreme flexibility. Cards include six tickets for use any time, for any production including the LookOut Series. The tickets are valid for one year with the option to add additional tickets as needed. Perks include easy and free exchanges, access to seats before the general public, savings on single ticket prices and bar and restaurant discounts for pre- and post-show socializing. Red Card Memberships are available for theaterrgoers under 30. For tickets or more information, contact Audience Services (1650 N Halsted St) at 312-335-1650 or steppenwolf.org. Next up is The Doppelgänger (an international farce) by Matthew-Lee Erlbach, directed by ensemble member Tina Landau (April 05 – May 27); followed by Guards at the Taj by Rajiv Joseph (May 31 – June 22, 2018); and The Roommate by Jen Silverman, directed by Tony Award winner Phylicia Rashad (The Cosby Show, A Raisin In The Sun, Tracy Letts’s August: Osage County). In The Roommate a comically mismatched pair of roommates leads to a surprising and touching friendship (June 21 – August 5, 2018). Steppenwolf is located at 1650 N Halsted St near all forms of public transportation, bike racks and Divvy bike stands. The parking facility ($12 or $14, cash or card) is located just south of our theater at 1624 N Halsted. Valet parking service ($14 cash) is available directly in front of the main entrance starting at 5pm on weeknights, 1pm on weekends and at 12noon before Wednesday matinees. Limited street and lot parking are also available. For last minute questions and concerns, patrons can call the Steppenwolf Parking Hotline at 312.335.1774. Connected to the main lobby is Steppenwolf’s own Front Bar: Coffee and Drinks, offering a warm, creative space to grab a drink, have a bite, or meet up with friends and collaborators, day or night. Open Tuesdays – Sundays from 8am to midnight, Front Bar serves artisanal coffee and espresso is provided by La Colombe and food prepared by Goddess and Grocer. The menu focuses on fresh, accessible fare, featuring grab-and-go salads and sandwiches for lunch and adding shareable small plates and desserts for evening and post show service. www.front-bar.com. Steppenwolf Theatre Company is the nation’s premier ensemble theater. Formed by a collective of actors in 1976, the ensemble represents a remarkable cross-section of actors, directors and playwrights. Thrilling and powerful productions from Balm in Gilead to August: Osage County—and accolades that include the National Medal of Arts and 12 Tony Awards—have made the theater legendary. Steppenwolf produces hundreds of performances and events annually in its three spaces: the 515-seat Downstairs Theatre, the 299-seat Upstairs Theatre and the 80-seat 1700 Theatre. Artistic programing includes a seven-play season; a two-play Steppenwolf for Young Adults season; Visiting Company engagements; and LookOut, a multi-genre performances series. Education initiatives include the nationally recognized work of Steppenwolf for Young Adults, which engages 15,000 participants annually from Chicago’s diverse communities; the esteemed School at Steppenwolf; and Professional Leadership Programs for arts administration training. While firmly grounded in the Chicago community, nearly 40 original Steppenwolf productions have enjoyed success both nationally and internationally, including Broadway, Off-Broadway, London, Sydney, Galway and Dublin. Anna D. Shapiro is the Artistic Director and David Schmitz is the Executive Director. Eric Lefkofsky is Chair of Steppenwolf’s Board of Trustees.